enhance their technical skills, keeping in pace with the latest in diagnostic technology. helping build customer trust on the brand in the market. facilities such as the flagship service facility at Rusayl, Barka and Sohar with pre-booked appointments. to experience the hassle of visiting the service center twice for dropping and collecting their trucks. ensure high quality standards assures a smooth drive and also help increase the lifespan of the vehicle. Additionally, these may also help get a better resale value for the truck. manufacturing company founded in 1916. 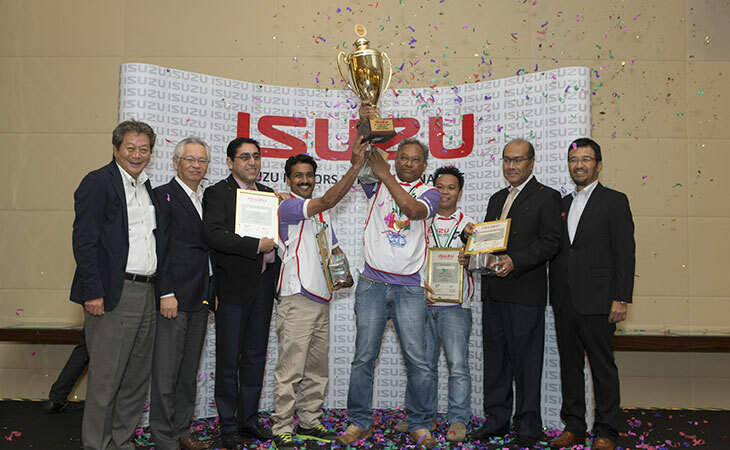 The OTE Group represents Isuzu in the Sultanate. With a?